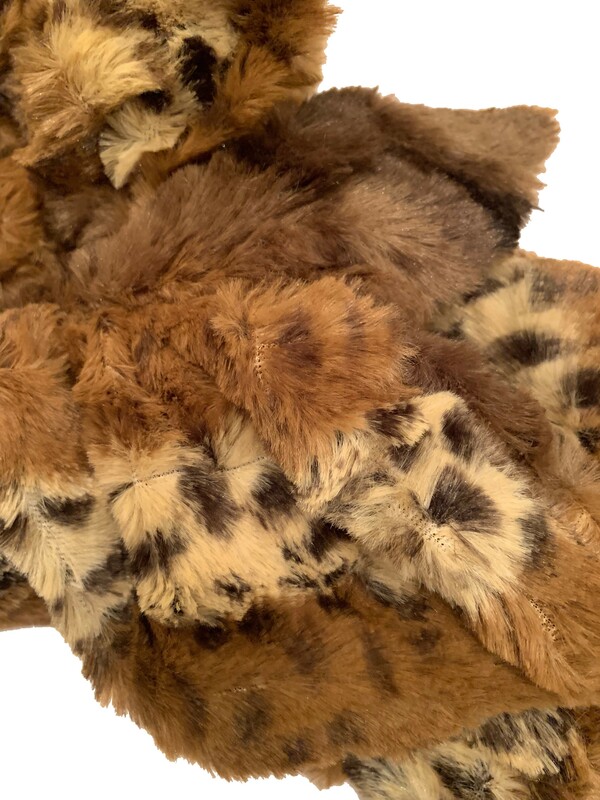 This Super COZY Wild Leopard Scarf is soft and stylish it will make you stand out in the crowd! Show your wild side in the beautifully made, close-fitting leopard print scarf. This stylish neck warmer is constructed from ultra-plush faux fur that is luxuriously soft and warm while still being incredibly lightweight. Hidden elastic runs through the length of the scarf to create a gathered, ruffled look and allows the scarf to expand from 26 inches to 40 plus inches, making this a one-size fits all accessory. To wear, pull one end of the scarf through the large buttonhole opening at the other end. The scarf measures 11 inches wide by 26 inches long when lying flat. Constructed from 100% Polyester, you can gently machine wash in lukewarm water and line dry (no bleach) or it can be dry-cleaned.